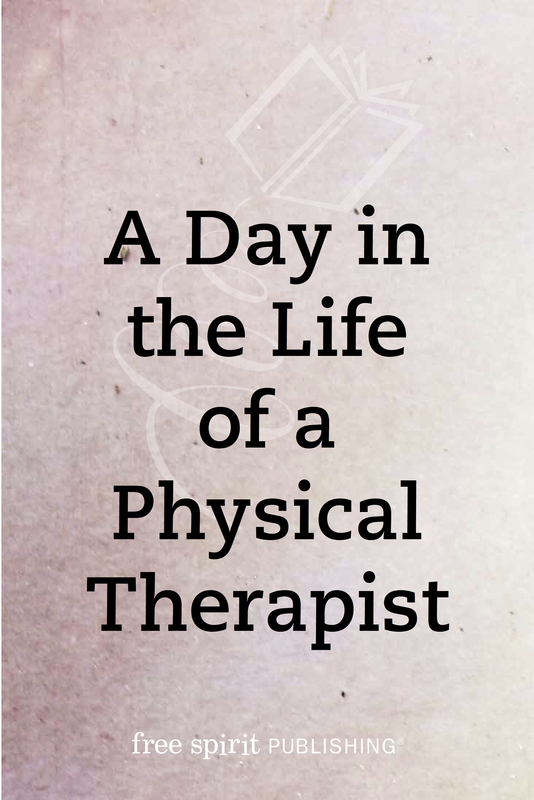 For more than twenty years, Susan A. Taddonio, D.P.T., has worked with children and families as a physical therapist in schools, homes, and private practice. Read on to learn about a day in Susan’s life. I am a physical therapist. This profession takes me on many different journeys over the course of each day and week. In fact, no two days are alike for me. My primary mission is to help children and young adults with physical disabilities become independent and successful in managing their environments. It’s also my mission to educate others to become physical therapists. I became interested in the field of physical therapy after growing up with an uncle who had polio. My Uncle Jake was funny, energetic, and capable of doing many things, but he needed to use crutches to walk because the muscles in his legs were very weak. Even so, he was able to do construction jobs, and I watched him take apart my parents’ bathroom and redo it. Jake was also an avid boater and swimmer. Nothing stopped him from working or having fun. Now that I am a physical therapist, I seek to help others overcome challenges they may face because of physical difficulties. A day in my professional life may begin with teaching a toddler how to walk, then helping a 10-year-old transfer from her wheelchair to a classroom chair. Another day, I might help a 3-year-old use both arms and legs the same way while moving on a scooter board and later help a 12-year-old stretch the muscles in his legs. I typically work with children in schools, childcare centers, their homes, or in my private office. Some days I teach graduate students at a local college so that they can go on and become licensed therapists and help others as well. The children I work with have disabilities. My job is to help them improve strength, endurance, and function so they can be more independent and successful in any environment. Therapy consists of activities and exercises to increase muscle strength, build endurance, increase range of motion or flexibility of the muscles, and learn skills needed to be successful. Some of the activities and exercises done in physical therapy (PT) include things like crab walking, bear walking, wall squats, and jumping. Sometimes we do throwing, catching, and kicking activities. Some of the equipment used in PT includes balance beams, balance boards, weights, and therapy balls. Most of the children with whom I work have specific goals, usually on a document called an Individual Education Program (IEP). These goals will vary depending on the child’s level of function and disability. When working with a child, I keep these goals in mind and use the steps to measure progress. As you can see, my job does not follow a typical routine. It is never boring. Not only do I like this, but also I love that I get to work with and help so many children of different ages and different abilities. My job brings me tremendous satisfaction, especially when children reach goals that they worked so hard to achieve! Susan is the coauthor of The Survival Guide for Kids with Physical Disabilities & Challenges. This entry was posted in Free Spirit News and tagged a day in the life, author spotlight, children with special needs, disabilities, Free Spirit author, special needs students. Bookmark the permalink.